Over the last few years, farmhouses have expanded their tourist offer: keeping all their rustic charm and preserving the beauty of nature now offer small wellness areas, cooking lessons and even yoga classes and spaces dedicated to. And for yoga enthusiasts, we’ve been collecting the most beautiful sustainable farmhouses in Italy to enjoy a holiday in nature and to concentrate on this millennial practice to find our equilibrium. In these amazing places the day begins with a greeting to the sun, a healthy, tasty, genuine breakfast and continues with a morning of yoga, surrounded by greenery and beautiful landscapes. 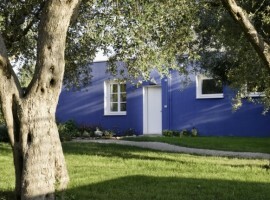 The Querceto farmhouse lies on a hill at the foot of an oaks forest. 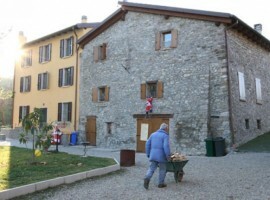 The old stone farmhouses once used for agricultural activities have been restored to the full respect of the environment, while retaining its rustic charm. The property organizes yoga, Tai Chi and Qi Gong lessons. 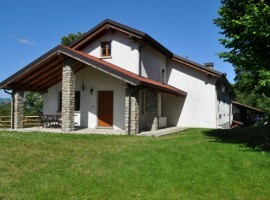 Services: library, gym-conference room and 20 hectares of woodland with naturalistic path. Groups: it can accommodate up to 28 people with accommodation in double, triple, quadruple and suite rooms. Perfect for: group yoga retreats, discovering a new lifestyle and exploring the little known Basilicata. Tirtha is immersed in the green of Veneto. Built in bioarchitecture, using clean energy sources, it’s conceived to accommodate workshops and residential working groups and provides two large rooms suitable for yoga. 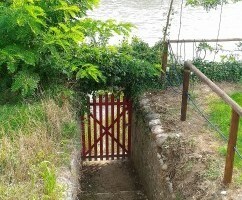 Services: Direct river access, organic breakfast, garden and reading room. 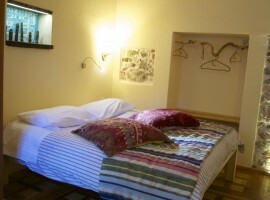 Groups: can accommodate up to 14 people with accommodation in double rooms. Perfect for: residential yoga seminars and to embrace the philosophy of biological and psychophysical development. 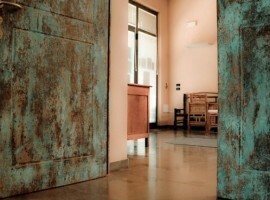 Agrilunassa Eco Guesthouse is the project of a couple from Milan who dreamed to live by the sea. 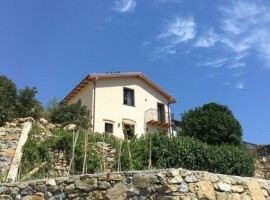 It is located in Liguria, in Bordighera, and offers a beautiful sea view, surrounded by the countryside. 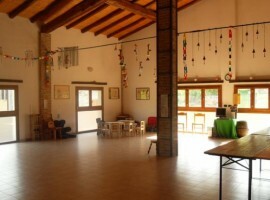 Among the various courses offered, there are also yoga classes daily, held by Federica, a Hata Yoga certified teacher. Services: organic breakfast, bikes, barbecue and a garden with sea view. 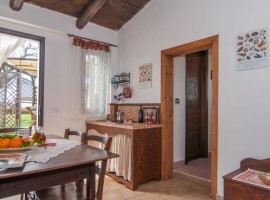 Groups: can accommodate 4 people, in two double bedrooms with shared bathroom. Perfect for: who wants to get close to yoga for the first time, for those who want to experience the thrill of whale watching and those who love the sea. In an old, completely restored rural building, there’s Ca ‘del Buco. 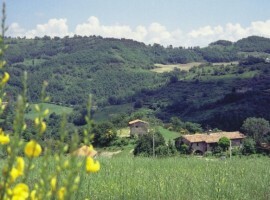 We are just minutes from Bologna, surrounded by greenery. 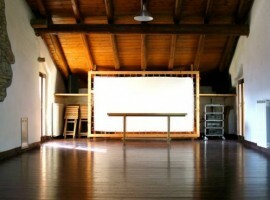 The barn has become the cornerstone of the guests’ stay, where you can organize workshops, seminars and yoga activities. 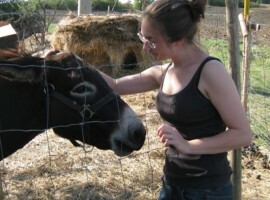 Services: three possible breakfasts, didactic farm and direct sale of local produces. 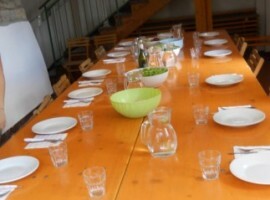 Groups: can accommodate up to 23 people with accommodation in double and triple rooms. 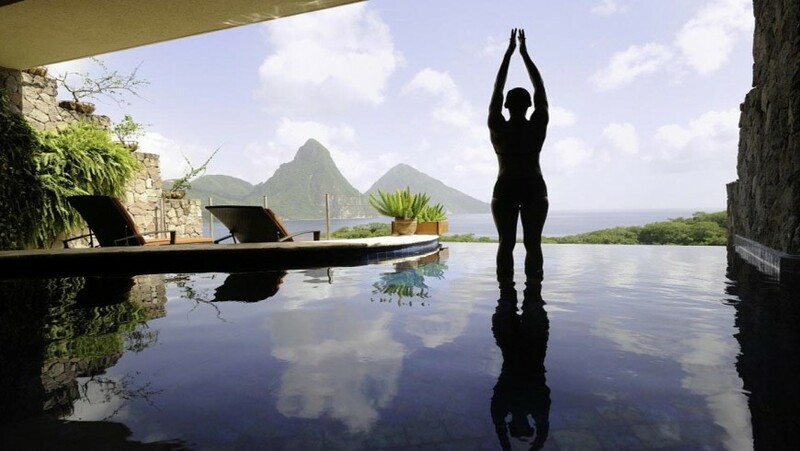 Perfect for: yoga retreats for large groups. 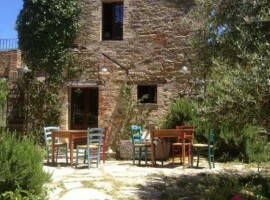 La Ginestra is a charming organic farmhouse located in the heart of Umbria, between olive groves and wild forests. 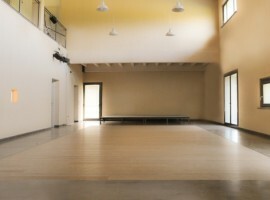 The facility hosts groups for courses, stages and seminars, and also organizes various lessons thanks to the beautiful 70 sqm room with wooden floor. Services: organic breakfast, pool, mountain bike rental, on request vegan dining. Groups: can accommodate large groups in rooms and apartments. 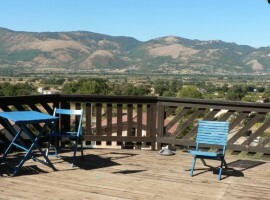 Perfect for: group yoga retreats, horseback riding or cycling. The Casolare Bioenergetico is a rural building dating back to the 18th century, restored according to the criteria of bio-architecture. From here it is easy to reach Parma, but also Milan, Genoa or Bologna. 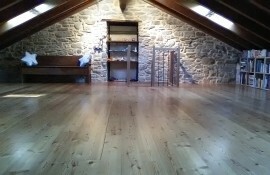 For us yoga lovers, there is a beautiful meditation room with natural wood roof and heated parquet floor. 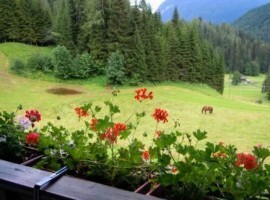 Services: organic and local breakfast, bicycles, solarium and barbecue. 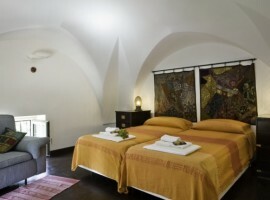 Groups: there is a double room, a triple and a quadruple with a shared bathroom for a total of 9 beds. 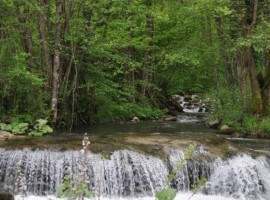 Perfect for: discovering porcine mushroom, a bicycle holiday. From garden care to natural soap production to pool yoga classes: Tribewanted makes us rediscover the pleasure of being together, working the earth, living according to traditions. 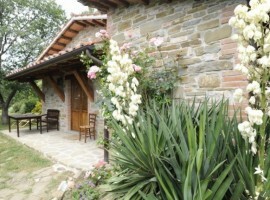 Services: swimming pool, bicycles and organic garden. Groups: can accommodate up to 25 people with accommodation in double, triple or independent apartments. Perfect for: group yoga retreats, discover a new lifestyle and horseback riding. 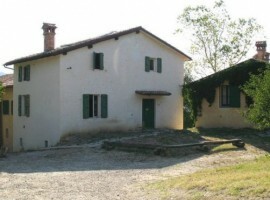 At 35 km from Bologna, in a secluded location surrounded by meadows and forests, there is the Casa La Lodola, a large farmhouse perfect to host a group, even in self-management, for the most diverse activities. There are two large wooden floor rooms and a dining room with 40-50 seats. Services: wood-burning stove, large outdoor spaces, fitted kitchen. 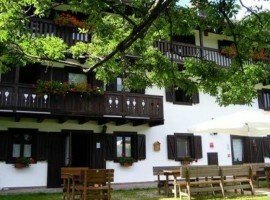 Groups: can accommodate up to 30 people in dormitories and double rooms. The facility is rented to one group at a time, which can then manage spaces and times in complete freedom. 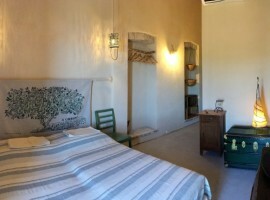 The Samadhi farmhouse, located in the Salento countryside, is the ideal location for enjoying a fabulous regenerating rest. The farm specializes in disciplines that focus on body and mind wellness: yoga, chi, bioenergetics, meditation, ayurvedic treatments, but also natural and macrobiotic cuisine. 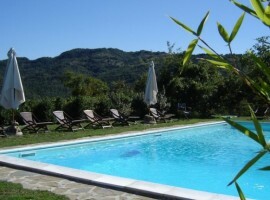 Services: swimming pool, bicycles, organic garden, reading room and restaurant. Perfect for: take part in yoga lessons, savor the magical atmosphere of Salento. Mountain air and hospitality are at home in this small bike & hike hotel. In a family-run accommodation, Simone creates dishes with local, natural and fresh produce. Throughout the year small workshops, seminars and spiritual encounters are organized. Services: bicycles, restaurant, library and bar. Perfect for: yoga seminars, mountain hiking trails. 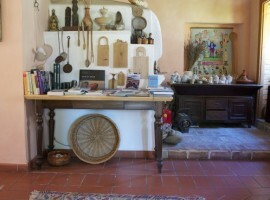 Case Don Ignazio is a biological agriturismo in the very heart of the Noto Valley, Sicily. From here you can explore the Unesco Heritage Sites of Siracusa, Noto and Ragusa. In this natural gem energy comes from solar panels and products are locally grown. You’ll also find a wooden terrace specifically dedicated to yoga! Services: terrace and gazebo, barbecue, yoga yard, a pensieve and a biological garden, plus continental breakfast packed lunch and dinner are included. Groups: it can host up to 25 guests in 7 different apartments with every necessary comfort. Perfect for: open air yoga classes in groups. These are the farms that Ecobnb recommends for a yoga holiday. Do you know any other accommodation for yoga retreats? I’m Emma, 21 years-old with a great passion for volleyball, cooking and travelling. Discovering local traditions and catching the details is what excites me the most in every journey. Always looking for the next destination and something new to learn. 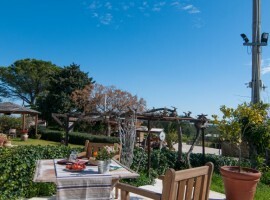 This entry was posted in go green, green hotels and tagged famrhouses, Italy, wellness, yoga, yoga holiday, yoga lessons, yoga retreat. Bookmark the permalink.